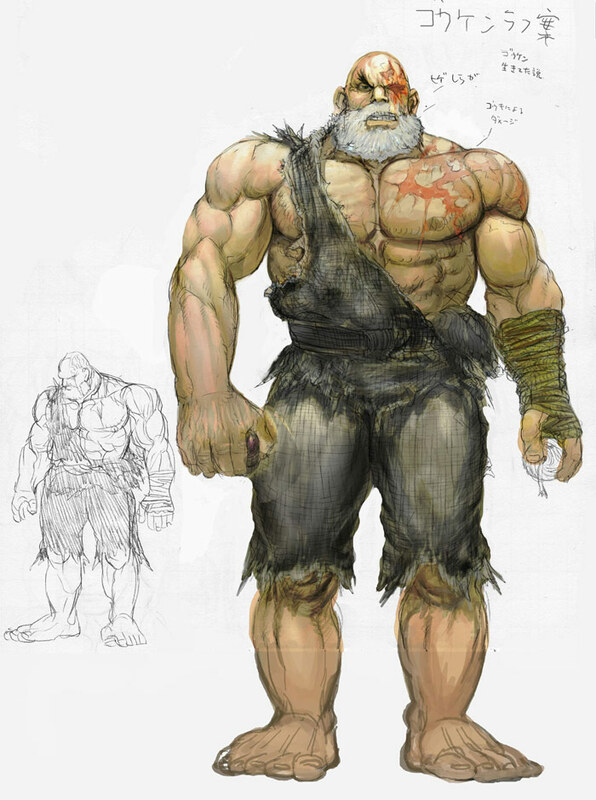 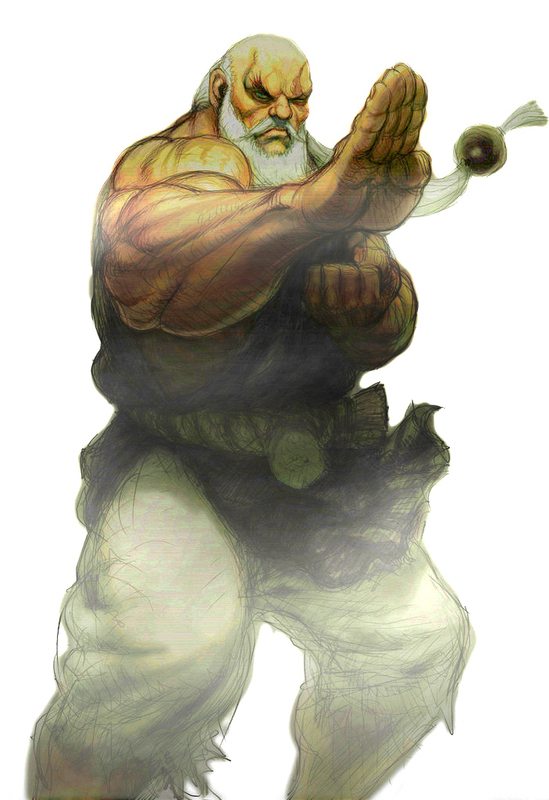 Gouken is Ryu and Ken's original master, as well as the older brother and former sparring partner of Akuma. 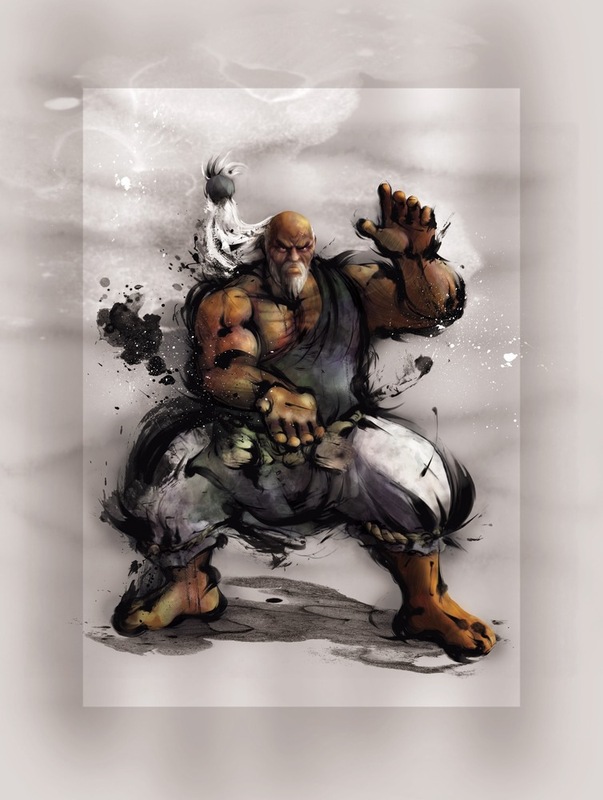 Gouken and Akuma were apprentices of Goutetsu, a martial arts master who taught the brothers an ancient assassination style. 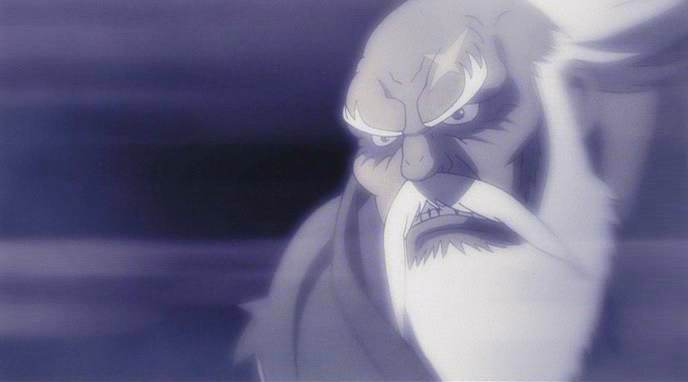 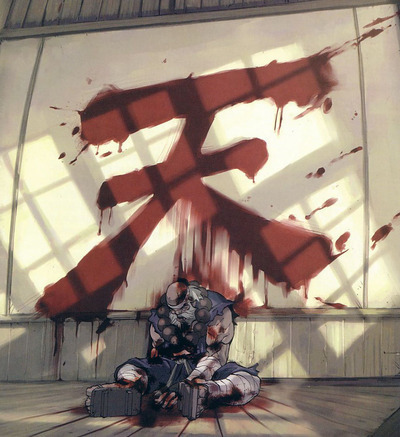 Akuma embraced the murderous nature of this style, and eventually killed Goutetsu in combat after mastering the forbidden technique of the Shun Goku Satsu. 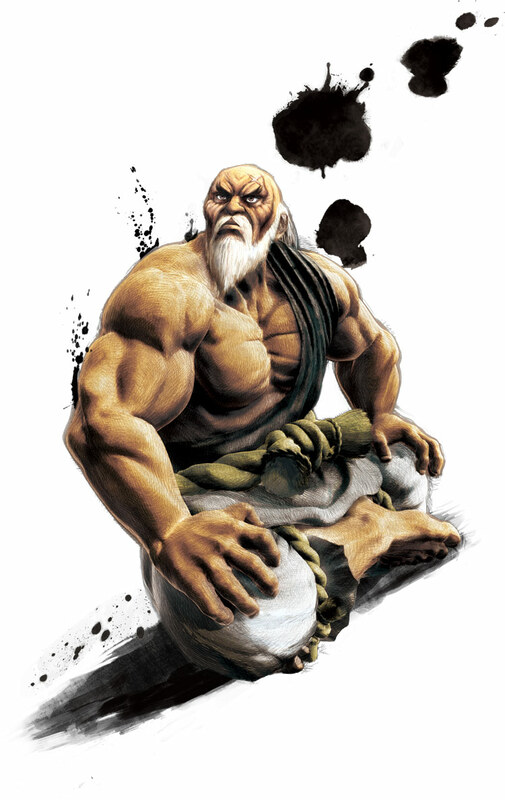 Gouken refined the techniques of this murderous style and developed them into a pure martial art, which he then taught to two pupils: Ryu and Ken. 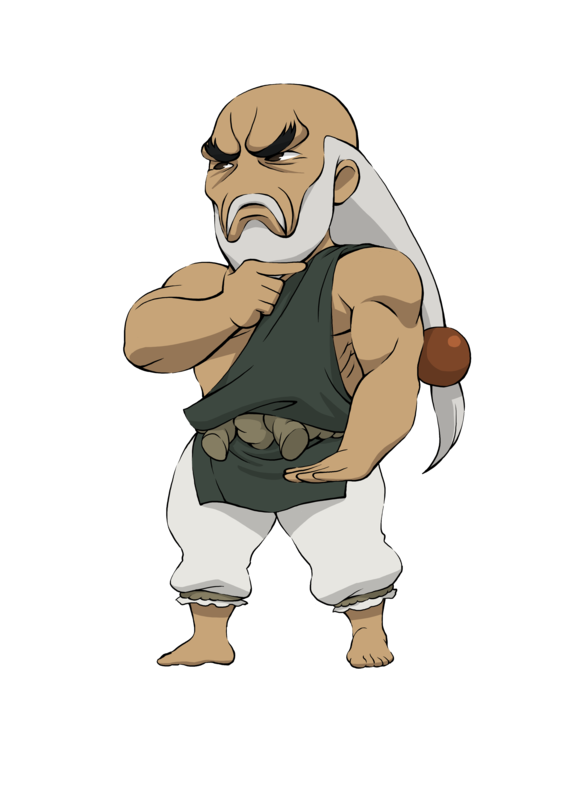 Dan Hibiki also sought out training from Gouken, but Gouken expelled him from the dojo once he learned that Dan's motive was revenge. 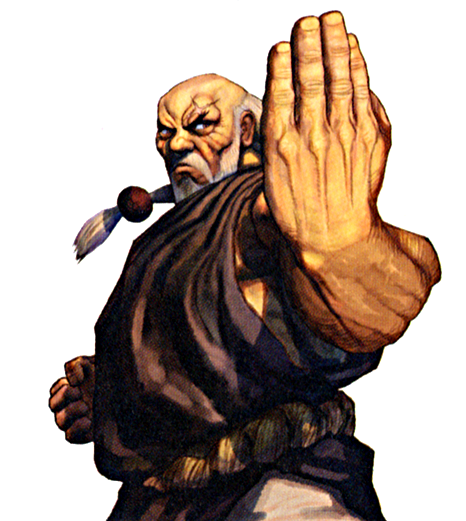 Gouken is also an old friend of Retsu's. 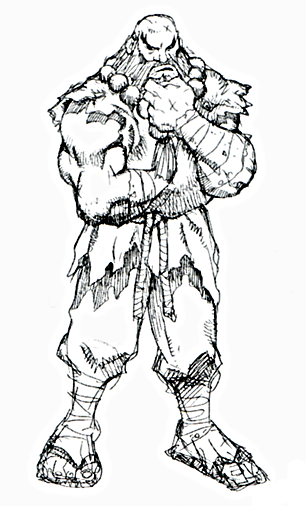 Prior to the events of the Street Fighter Alpha series, Gouken was challenged by Akuma to a death match and was defeated. 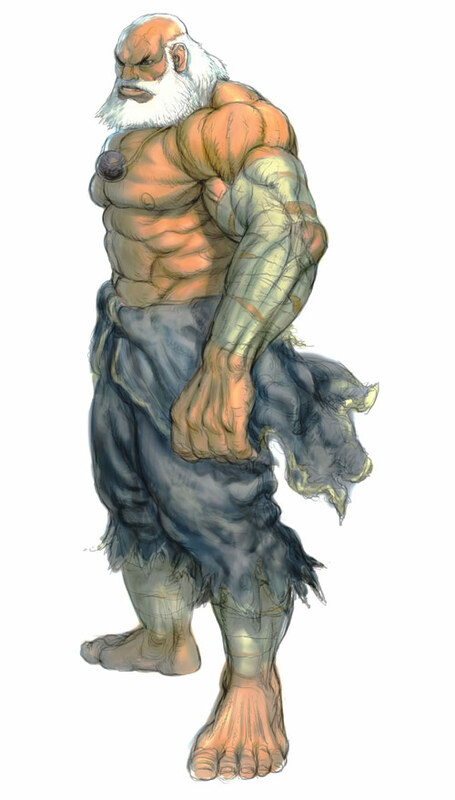 Ken and Ryu thought their master was dead, and Ryu began his quest to avenge his master's apparent death in Street Fighter Alpha 2. 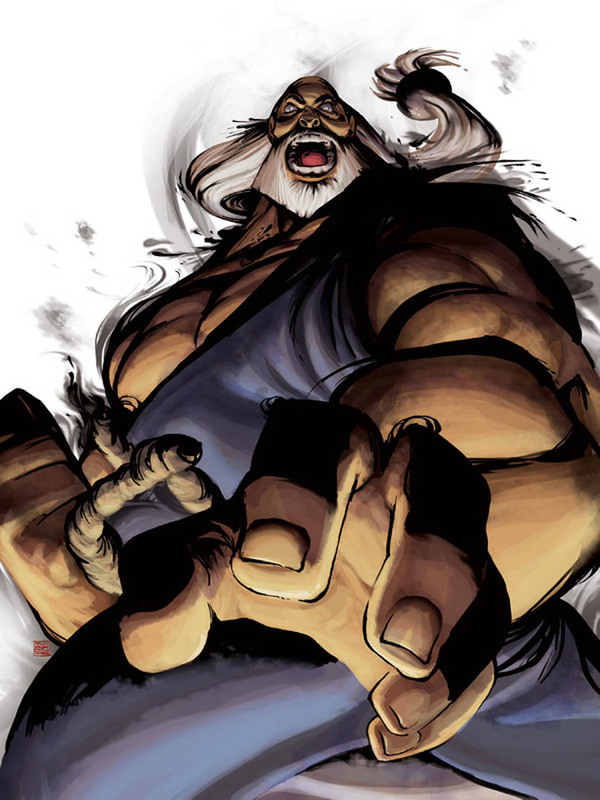 Gouken has always been a supporting character in the Street Fighter series since SSF2 Turbo and Street Fighter Alpha, but made his first official appearance as a playable character in Street Fighter 4. 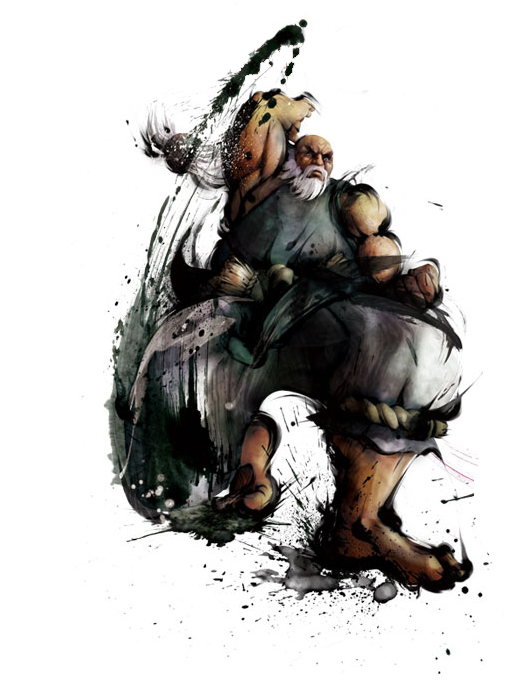 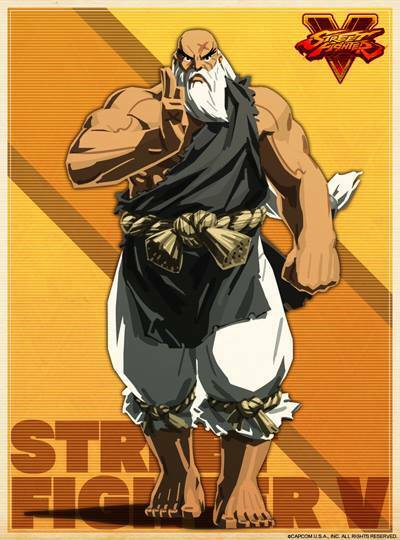 Before Gouken appeared in Street Fighter IV, he was probably the "most talked about" fighting game character that never actually appeared in a game. 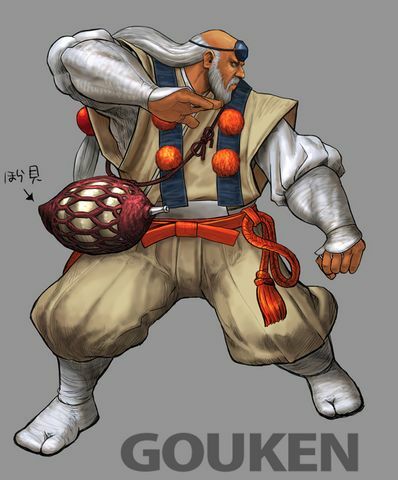 UDON Comics refreshed his design a bit when they featured him in their SF Comic series, and a few years later, Capcom finally brought Gouken to the series as a playable character.